Was Redux Faction already taken? 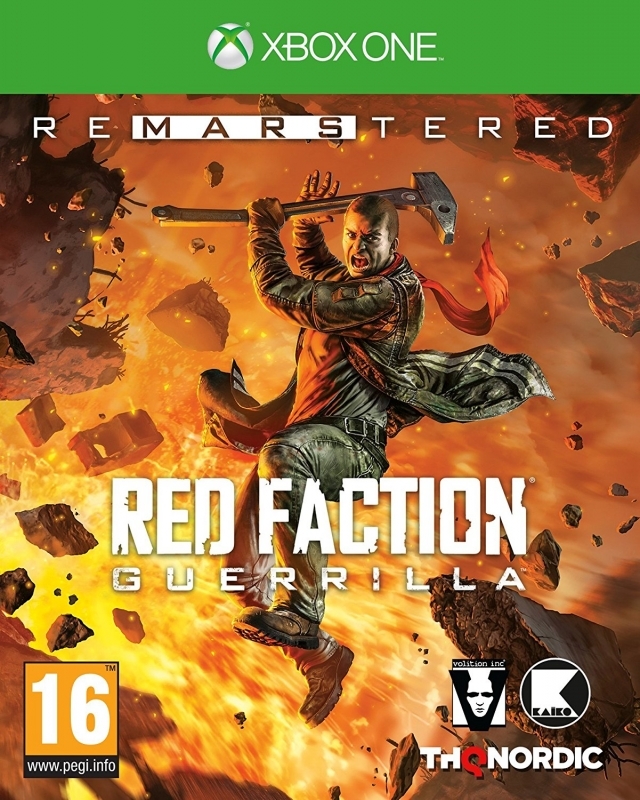 Red Faction Guerrilla Re-Mars-tered is a jack of all trades, master of none. A remastered version of the 2009 sandbox shooter, Re-Mars-tered adds reworked graphics, textures, shadow rendering, and lighting, but doesn't elevate its run-of-the-mill core gameplay. Almost everything about the game — shooting, driving, mission design, level layouts, storytelling, art direction — is serviceable but ordinary. The big exception is Geomod 2.0, a game engine that allows physics-based destruction. The strategic/emergent gameplay provided by Geomod goes a long way, but not long enough to erase a long list of unremarkable qualities. Set 50 years after the original Red Faction, one of the finest first-person shooters on PlayStation 2, Guerrilla follows a miner named Alec Mason who travels to Mars for work (in the not-too-distant future, Mars is, apparently, a land of opportunity). Shortly after touching down in Parker province and meeting his estranged brother, Alec witnesses the brutality of the Earth Defense Force (EDF), a military outfit that rules Mars with an iron fist. When Alec's brother reveals himself to be a member of the newly re-established Red Faction insurgent group and then dies shortly thereafter, Alec — now a fugitive — teams up with Red Faction to expel the EDF from Mars for good. Guerrilla is a third-person sandbox shooter, not unlike a Martian Grand Theft Auto. The larger strategic mission is to push EDF forces out of six provinces. To accomplish that lofty goal, players will tackle 20 story missions and dozens of side quests. Along the way, you'll need to keep track of three assets: scrap, the morale meter, and the control meter. Scrap, the currency of the game, comes from demolished buildings and vehicles; it's the only way to buy upgrades in the main campaign. The morale meter measures how much of the population supports you, and acts as a scrap multiplier after main missions; raise it by conducting certain side missions and lower it by killing civilians. The control meter is the most important, as the final story mission in each province is locked until EDF control is zero; lower it by destroying EDF installations and completing optional quests. All of this is built atop the Geomod 2.0 foundation, which allows Alec to blow holes in buildings, topple towers, and collapse bridges, permanently altering the landscape of Mars in the process. Using a sledgehammer and a satchel of remote mines, players can destroy virtually every man-made structure on Mars. Everything reacts according to real-world physics, and it's great fun to chip away at foundations and load-bearing walls to see exactly how and when a building will crumble. Geomod implies a large amount of tactical and/or emergent gameplay, and to an extent it delivers on that implication. If you're trapped in an enemy base, you can hammer a hole in the wall and escape to safety, for example. Or if an EDF convoy is on its way to attack a Red Faction hideout, you can intercept the enemy troops by planting a bridge with explosives. Geomod can only elevate Guerrilla so high, however. After the initial euphoria that comes from hammering a building into smithereens subsides, all that's left is a generic GTA clone that suffers from baggage typical of open-world games and a few unforced errors from original developer Volition — errors imported wholesale into this Re-Mars-tered edition. As with so many sandbox games, far too much of Guerrilla is spent driving to and from points of interest. You'll set out from a safe house, drive to a quest marker on the map, get directions to the actual quest, and then, in some instances, drive back to the safe house to complete the mission. Unlike Grand Theft Auto, which offers rich scenery and radio chatter to break up the monotony of driving, all Guerrilla has to offer are drab, brown Martian landscapes. The game can also be punishingly difficult, especially in Parker and Dust, the first two provinces. EDF forces seem to be preternaturally aware of your presence at all times, and can summon an endless stream of reinforcements. Attacking high-profile EDF targets, often necessary to bring the control meter to zero and unlock an area's final mission, are especially challenging. Even if you play the game the "right" way, i.e., guerrilla warfare, hit-and-run tactics, the game will punish you by spawning troops inside the target area. Although publisher THQ Nordic suggests you can "launch attacks based on your own gameplay style," in reality tactical play is a waste of time. Even the stealthiest approach will be met with unending waves of deadly accurate soldiers. Note that Guerrilla allows players to switch the difficulty level on the fly, which is a nice concession. Things improve starting in zone three, Badlands, when fast travel and a new weapon that vaporizes structures at the atomic level are unlocked, but the remainder of the game is much like the first third: tedious, frustrating, and only occasionally interesting. In addition to the single player campaign, which will last somewhere between 15 and 20 hours, Re-Mars-tered encompasses the original game's suite of competitive multiplayer options (unreviewed because of empty online lobbies pre-launch) including deathmatch, capture the flag, siege, and base capture; a fun pass-the-controller local mode called Wrecking Crew where players compete for high score destruction; and the DLC prequel campaign "Demons of the Badlands," worth playing for the Spiker automatic weapon alone (imagine the stake gun from Painkiller and the nailgun from Quake). With native 4K support, improved lighting and shadow rendering, and fully reworked textures, Guerrilla looks better than ever before. In fact, disregarding a few last-gen FMVs, it would be easy to mistake this remaster for a current-gen offering. That said, there are a few, rare instances where textures and level geometry are slow to appear, and the long loading times from the original game are still a problem. Like so many open-world games, Guerrilla checks off many boxes — driving, third-person shooting, NPC quest-givers, points of interest, a good-versus-evil storyline — but doesn't take the time to arrange them together in thoughtful ways. There are a handful of high points, thanks chiefly to the emergent gameplay provided by Geomod 2.0, but not enough to change what is, in the end, an acceptable but unremarkable sandbox shooter. 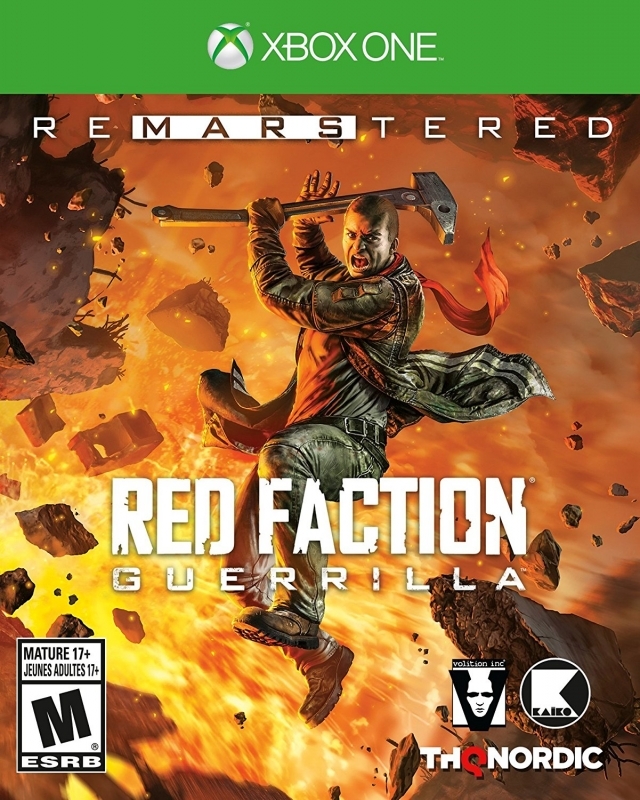 This review is based on a digital copy of Red Faction Guerrilla Re-Mars-tered for the XOne, provided by the publisher.